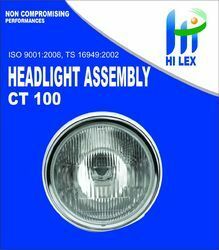 Exporter of two wheeler headlight assembly from India. We Provide quality Products at a very competitive prices and as per your requirements. We are at our place one of the leading supplier of Bajaj Pulsar Headlight Assembly. We are able to offer Bajaj Pulsar Headlight. We are dealing in Bike Headlight. - 300% BRIGHTER THAN STOCK LAMPS: This H4 LED Headlight Bulb offers the brightest white light in its range with 700LM output. 3X Brighter headlight to fit almost all make and models of motorcycles.